Acne can be an embarrassing condition, regardless of its location on your body. Acne on the legs can be a difficult problem, because the skin on your legs is thicker and has bigger pores than the skin on your face, and when legs rub together or against clothing the skin becomes even more irritated. Home remedies for getting rid of acne work by reducing the redness, irritation and appearance of the pimples on the legs, as well as preventing them from recurring. Papaya fruit has natural enzymes that, when mashed and made into a paste, effectively soothe acne. Oatmeal mixed with honey creates an exfoliating scrub, and the honey has antibacterial properties that help to clear acne from the skin. Plain honey dabbed onto pimples reduces inflammation and helps clear the skin. Cotton balls dipped in a mix of apple cider vinegar and water clear acne. Lemon juice has antiseptic and antibacterial properties, as does tea tree oil. Both combat the bacteria in and on the skin, which may cause leg acne. 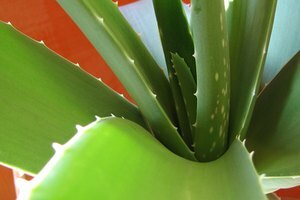 Aloe vera calms the skin and reduces the redness caused by acne breakouts on the legs. Tea bags soaked in warm water for two or three minutes, then placed on the legs will also calm the skin and reduce redness. Eat plenty of fruits, lean proteins and dark, leafy vegetables. A diet rich in low-fat dairy items will increase your intake of vitamin A, and eating walnuts and salmon will increase your intake of Omega-3 acids; both aid in producing healthy skin. Green tea has anti-inflammatory properties, so drinking it may reduce leg acne. Drinking at least eight glasses of water each day and getting the recommended daily amount of vitamin C help produce healthy skin. Reducing the amount of sugar and processed food intake may aid in clearing acne from the legs and other parts of the body. Avoid irritating the skin on your legs as much as possible. Wear loose-fitting cotton clothing; it breathes better and allows more oxygen to reach your skin. If you sweat a lot, change your clothing frequently. Use a body wash that contains salicylic acid, and wash your legs well every day. When leg acne is present, avoid scratching or picking at it; this will only irritate it more and introduce bacteria to the skin. Use a body moisturizer that doesn’t clog pores to keep your legs smooth and reduce irritation.